Christine Hartline, MA is a recovering anorexic and bulimic who has been working in the field of eating disorder treatment for over 12 years. She is dedicated to educating others about the consequences, treatment and prevention of eating disorders. 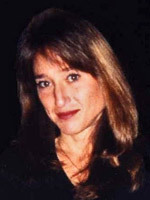 She is the founder of the Eating Disorder Referral and Information Center at Edreferral.com. She is also an ANAD Resource person who can help assist in locating FREE support groups in your area. Christine is an advocate for mental health parity and increasing research to help understand the etiology of eating disorders. Eating disorders are complex and involved complex interactions of psychological, biological, sociological, and interpersonal factors and do require professional assistance. Further, eating disorders and body hatred impact the lives of millions of men and women. Eating disorders are gripping and life-threatening. If you or someone you love is suffering from an eating disorder please seek information and assistance. For more information on the treatment and prevention of eating disorders please fee free to contact Christine at the International Eating Disorder Referral Center.Christine Hartline, MA has been working in the field of eating disorders for over 10 years. She is a member of the Academy for Eating Disorders, Anorexia Nervosa and Associated Disorders, Eating Disorder Awareness and Prevention and the Bulimia Anorexia Nervosa Association. She has served as the administrator of the Monte Nido Treatment Center in Malibu, CA. She has also been a consultant for several eating disorder programs, a community liaison, a support group leader, a mental health provider and a utilization review coordinator. She is an advocate for the treatment and prevention of eating disorders. Dying to Fit In- Literally! Today in America you can be whatever you want to be – any dream can be accomplished as long as you pursue it. We have economic security and we live in a peaceful and prosperous nation! We live in the land of opportunity, rich with culture and diversity, the land of the free! The question I pose is – “is America the land of the free, especially for women?” With all the freedom and prosperity we enjoy women still remain prisoners. “Prisoners”, you ask, what do you mean? Women are enslaved to a beauty myth, chained to the false belief that our value is based on our appearance alone. In the United States approximately 10% of girls and women (numbering up to 10 million) are suffering from diagnosed eating disorders. Of these at least 50,000 will die as a direct result! Recent data reported by the American Psychiatric Association suggests that of all psychiatric disorders, the greatest excess of patient mortality due to natural and unnatural causes is associated with eating disorders and substance abuse. How did this problem reach such epidemic proportions? Why are we dieting ourselves to death, literally dying to fit in? When did we become so ashamed of our bodies, when did we learn to hate them so much? While eating disorders claim lives and significantly impact the health and well being of sufferers, as we investigate further an even more disturbing picture emerges. An amazing 80% of women are dissatisfied with their appearance. These numbers are staggering! Surely they cannot be correct! How and why could we have learned such contempt for our bodies and ourselves? Eating disorders are complex and understanding their etiology requires complex interventions by professionals. In this article I want to examine eating disorders in the context of the questions I posed above. Why are women attacking their bodies? Where did we learn that our self worth is measured by external factors – by numbers on a scale? The answer lies in constant, subtle attacks on our bodies. These attacks wear us down, shake our confidence and esteem. We loose our sense of self, individuality and fall victim to narrow definitions of beauty defined by the media. The media acts as a propaganda machine determined to shake our confidence, remind us we aren’t good enough, we haven’t made it, that we just simply do not measure up. In a recent poll by People magazine 80% of women reported that the images of women of TV and in movies, fashion magazines ad advertising make them feel insecure about their looks. In addition, the poll indicated that women are made to feel so insecure that they are willing to try diets that pose health risks (34%), go “under the knife” (34%) and 93% indicated they had made various and repeated attempts to lose weight to measure up to the images. Why is the media bent on making us feel so down about ourselves? Why do they go to such lengths to make us feel “less than?” The answer is quite simple – pure economics. The media machine is economically driven as billions are spent on items such as cosmetics, new diets and clothes. This “beautifying” empire is dependent on our disempowerment. They count on us buying into their myths and misrepresentations: “we will never fit it, we can never be happy, thus we can never end the pursuit. ” Alas, the pursuit is endless, the products are endless, the damage to our self-esteem is endless, and the body hatred created is devastating. The assault is unrelenting! The images everywhere! How could it all happen, right under our noses? It is a subtle, continuous bombardment of images of beauty, images defined by profiteers, images that are not real, not authentic, and not attainable. The impact that these images have on women is profound. The financial, social and psychological and physical damages of a woman’s lifetime pursuit of thinness are impossible to measure. Depression, despair, depletion of self-esteem, the withering and wasting away of physical, psychological and financial resources are unbelievable. How can we begin to make changes? How can we assess our damage report? We must all take a personal inventory of how our lives have been impacted by these images and how we have fallen victim to these lies and misrepresentations of beauty. By examining how these images have impacted your life you are better equip to avoid falling victim to these myths. You will learn to measure yourself by intrinsic qualities that are of far greater value and are far more beautiful than any image manufactured on a movie screen. I was a victim of these attacks on esteem, on women’s power, on our self-worth. I was a prisoner and almost a casualty of this war. If I did not wake-up and take a personal inventory and examine my value system I could have easily sunken into the prison of repeat diets, repeat failure and lifelong contempt for my body. As a prisoner I had to ask myself some tough questions: when did I start to hate my body so much? When did I begin to measure my self-worth by numbers on a scale? When did I fall prey to the idea that beauty is external and success is measured by factors that have little to do with personal strength and spirit? We must be aware of the images presented to us and unmask these images for what they truly are – destructive, superficial and unattainable images. These images do not value our uniqueness, they do not honor our wisdom and our spirit, and they do not measure us. We must reclaim and redefine our bodies as ours. They are miraculous, we all know this! Our bodies perform wonderful feats every day. We are physiological and biological masterpieces. Our bodies are not our enemies – they put us in motion, they create and sustain life. The functions our bodies perform for us are too numerous and varied to list. Vow that you will not longer fall victim to these images and help those around you to the road of self-love and acceptance. Advocate for freedom from body hatred and fight the billion dollar advertising, cosmetic, diet, entertainment and fashion industries – let’s stand up for ourselves, our values, our bodies, our lives. We must challenge ourselves, our culture and our children. The stakes are too high to back down. Lives are lost each year as beautiful, healthy young women starve themselves to death. Millions of us are suffering from depression and anxiety as we are bombarded with images of our “faults. ” It is time to change, change begins from within and radiates out- let’s begin. The consequences of body hatred and the serious issue of eating disorders are far to significant and far reaching to be addressed simply by pointing the finger at the media machine. Eating disorders are complex and involved complex interactions of psychological, biological, sociological, and interpersonal factors and do require professional assistance. Further, eating disorders and body hatred impact the lives of millions of men and women. It is not only women that buy into these myths and it is not only women that suffer with these illnesses. Eating disorders are gripping and life-threatening. If you or someone you love is suffering from an eating disorder please seek information and assistance.